SAN JOSE, Calif. — Chally Grundwag, a mental health consultant, faced three teachers gathered around a pint-size preschool table. “What kind of kids really push your buttons?” she asked the group. A crying toddler may be a commonplace challenge for a parent, but for teachers confronted with more than a dozen meltdowns at once, stress can spike. And overwhelmed teachers may respond in a way that upsets the children further, setting off a cycle that contributes to a high rate of suspensions and expulsions for preschool children. That’s why Grundwag is trying to help. “What do you do?” Grundwag asked the teachers who were sharing their frustrations with her. “I say, ‘You can be upset. You can cry. I’m going to be right here,’” the teacher responded. She’s been working with this group and 20 other preschool teachers and directors in the area since the beginning of the school year. 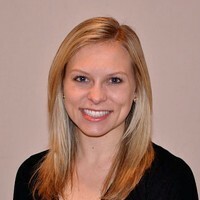 Grundwag, who has a master’s degree in counseling psychology, says some preschool teachers may do things that can aggravate students’ misbehavior, such as talking about a student’s conduct in front of the child or speaking loudly and shaming students in front of their peers. By working with mental health consultants, Grundwag says, teachers have a chance to vent, reflect and understand the needs of their students rather than getting frustrated, feeling isolated, or losing their patience. Every Tuesday, Grundwag spends hours here at Kidango’s Dorsa Center and another one nearby run by the same organization. 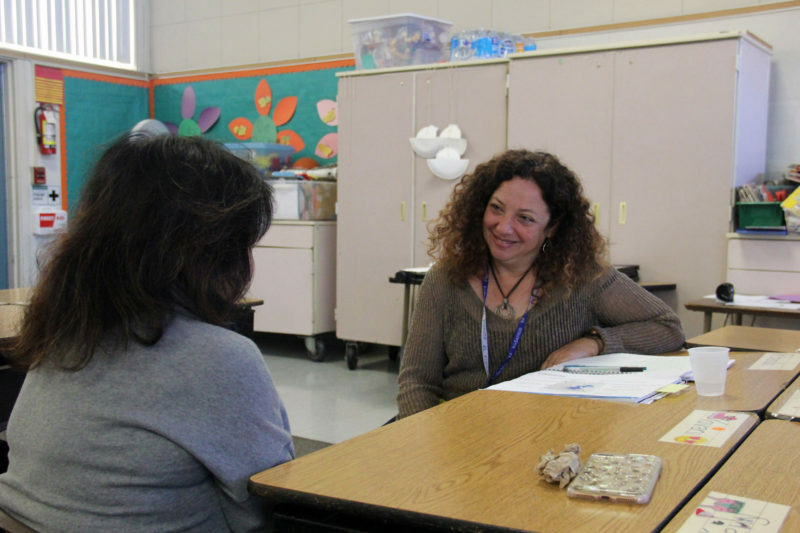 She interacts with children, observes teachers and meets with staff members to help them develop strategies for dealing with difficult behaviors without resorting to yelling, time-outs or suspension. She also meets with families to share information on children’s social and emotional development, and conducts home visits as needed. But one of the most important parts of her job is to act as a therapist of sorts to the teachers. She listens as teachers and center directors talk about their challenges, offers advice if needed and, perhaps most importantly, compliments teachers on what they’re doing well instead of pointing out flaws. Last fall, former California Gov. 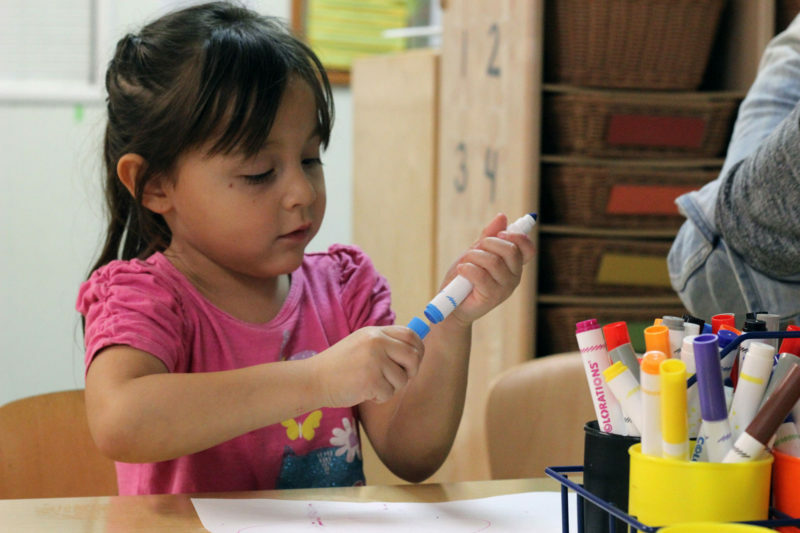 Jerry Brown signed legislation that will support putting more mental health consultants like Grundwag into publicly funded preschools and child care centers. The hope is that these experts will help teachers remain calm and focused in the classroom so they can be patient with their most challenging students. “Kids benefit from that, 100 percent,” Grundwag said. Nationwide, studies show that early childhood mental health consultations can help curb suspension and expulsion rates in preschools. It’s help teachers need: In 2016, about 50,000 preschoolers were suspended at least once, and at least 17,000 were expelled, according to the Center for American Progress, a Washington-based liberal research and advocacy institute, which arrived at the estimate based on data from the 2016 National Survey of Children’s Health. Black children and boys are more likely than their peers to be suspended, a fact experts attribute in part to implicit racial bias among educators. These suspensions don’t improve behavior and can have far-reaching consequences — children who are suspended in preschool are more likely to drop out of high school and later to be incarcerated. Chari Plumeri, director of the Kidango-Ryan child care center in East San Jose. 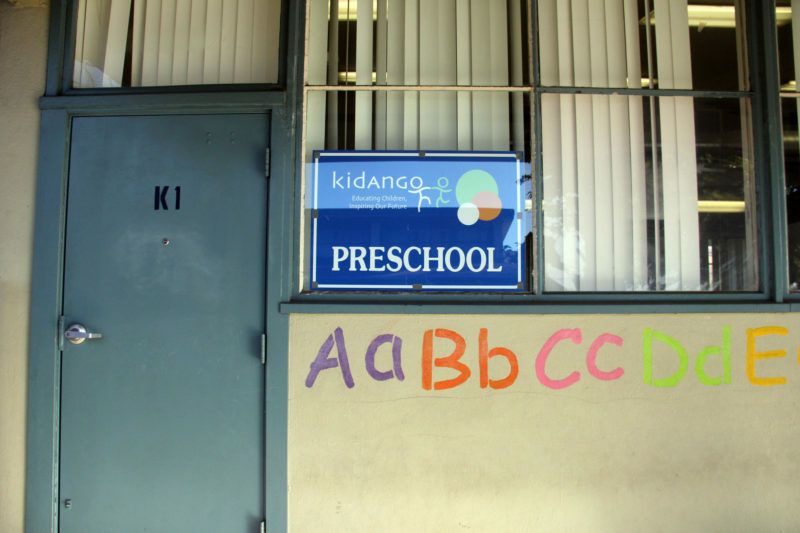 California’s new legislation, written by Assemblywoman Blanca Rubio, D-Baldwin Park, and backed by Kidango, will increase the amount of money a preschool or child care center receives by 5 percent for each child who gets state funding if that center provides early childhood mental health consultation services. Even a simple piece of advice the consultants provide can be transformative for both teachers and children. For example, a consultant’s assistance helped a pair of teachers who were at a loss on how to deal with a boy who arrived each day to his preschool classroom crying. No matter what the teachers did, he cried for several hours until it was time to go home. One of the teachers, becoming more and more frustrated, gave up. She decided to focus on the other children. The other teacher kept trying, but she felt like she was failing. She began to lose her patience, too. That’s when Tena Sloan, a licensed therapist and now a clinical supervisor who oversees Kidango’s mental health consultants, made a visit. She and another consultant met with the child’s parents and then sat down to listen to the teachers. They soon discovered that at the child’s previous daycare, he was put in a locked closet when he misbehaved. That trauma was clearly sticking with him, Sloan recalled recently. “This child is now coming into this other setting not knowing that these teachers are going to be safe and supportive,” she said. Almost instantly, the two preschool teachers felt more empathy for the child. They became more patient and their motivation to help the boy returned. With the help of their consultants, they created a plan focused around his needs. Instead of encouraging the boy to join in activities, they sat next to him to let him know he wasn’t alone. They found another child in the classroom who spoke his home language to provide more comfort. The boy still struggled, but slowly he began to feel more comfortable. This support for early childhood staff can be immensely helpful for a stressed-out workforce. Early childhood teachers are often underpaid and work in demanding environments in which they must meet the needs of dozens of students each day. Research shows early childhood teachers deal with chronic illnesses at rates higher than other teachers of the same age. One survey found that almost one in four staff members at federally funded Head Start centers have clinically significant levels of depression. These challenges can drive teachers to leave the profession: Some reports estimate the average annual turnover rate for early childhood teachers is as high as 40 percent, while others put it closer to 25 to 30 percent, nearly double the rate of K-12 teachers who leave the field or change schools each year. “I don’t want to do it!” the student responded. In a recent survey of state mental health consultation programs completed by the Georgetown University Center for Child and Human Development, researchers found that at least 20 states use early childhood mental health consultations to some degree, and 11 have a statewide program, although these programs may look different across states and vary by program and child care center. 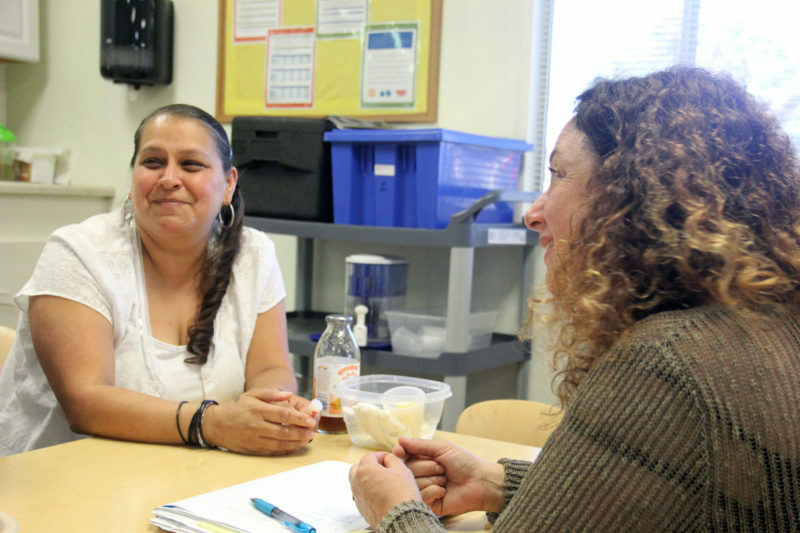 Every federally funded Head Start center across the country is required to use a mental health consultant, although the breadth of the services offered varies. Research shows consultations work. A 2009 study found that, despite differences in approach or intensity, early childhood mental health consultations are “consistently associated with teachers reporting fewer problem behaviors among their students.” And a 2007 study found consultations increased staff “confidence and competence in dealing with troubling or difficult behaviors of young children in their care.” The consultations “generally helped improve overall quality of early care and education settings and was linked to reduced staff turnover,” the report stated. This mental health consultation model has been gaining traction in recent years. The cities of San Francisco and Baltimore have tried it; several states, including Connecticut, Massachusetts, Michigan and Ohio have statewide programs. Connecticut’s plan has been around for almost two decades and serves public and private child care and preschool programs, Head Start programs, licensed family child care homes and is offered in foster care settings. Research on Connecticut’s program has found that children in classrooms with consultants showed “significant reductions in behavior problems,” especially when it came to certain difficult behaviors and hyperactivity. 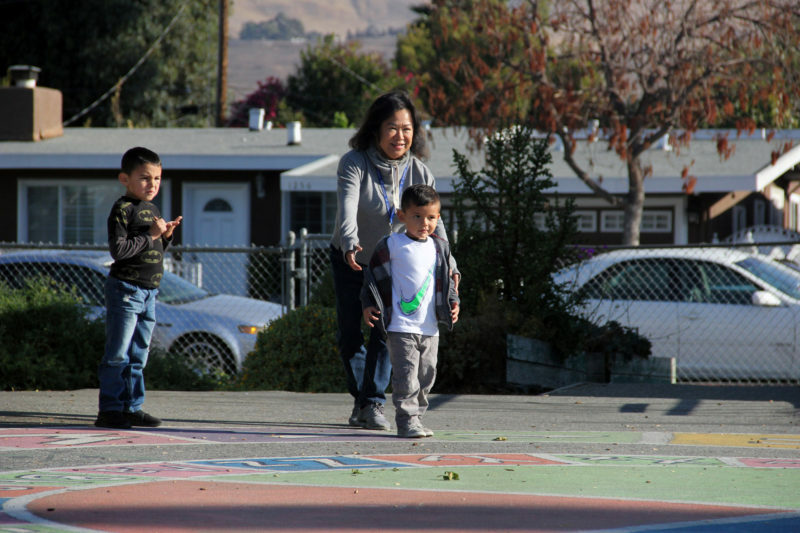 California has previously taken steps to curb preschool suspensions. In 2017, Brown signed legislation that prohibits state-funded preschools from expelling students until the programs have conducted various interventions and referrals to help children and their families. The state’s new focus on putting more mental health experts in preschools expands this effort. On the day Grundwag sat with the three teachers from the Kidango’s Dorsa Center, the teachers began to reminisce about one of their former students. The little boy had been particularly difficult, at times getting aggressive, hurting other students, and telling his teachers he was a zombie. “He watched ‘The Walking Dead,’” one teacher explained, referring to AMC’s zombie apocalypse television show. “You really read his cues and understood his world,” Grundwag said. Kidango was an early adopter of early childhood mental health consultations. 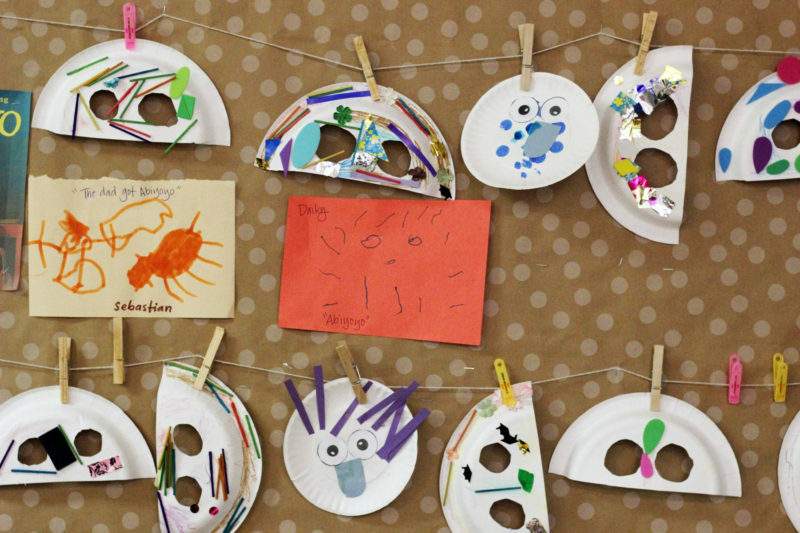 The network is one of the Bay Area’s largest preschool providers and enrolls mostly low-income students in 50 local centers. These centers receive funding from several sources, including federal Head Start money and the state. In 2017, Kidango received a grant from the Heising-Simons Foundation to create a pilot program that would bring mental health consultants into its state-funded classrooms. (Disclaimer: The Heising-Simons Foundation is among the supporters of The Hechinger Report.) In spring 2018, the pilot launched at one center and then spread to 13 additional centers in the fall. This year, Kidango will roll out the consultation model in all of its centers. Neal Horen, director of the early childhood division at Georgetown University’s Center for Child and Human Development, said consultations should be available to every child. “Ideally, if funding wasn’t an issue, I would say that every early care and education setting would have access, on a weekly basis, to a mental health consultant,” Horen said. “I’d have mental health consultants available in other early childhood agencies, like the child welfare system,” he added. One reason the mental health consultant approach is so helpful for teachers is because many early childhood teacher-training programs include little, if anything, on the social and emotional needs of young children. “A lot of teachers are not coming to the classroom prepared to deal with the range of behaviors that they see in very young children,” said Deborah Perry, a research professor and director of research and evaluation at the Georgetown University Center for Child and Human Development. Plumeri, the Ryan Center director, agreed that early childhood workers need more training. When she decided to go back to school to become a preschool director after working in finance for years, she was surprised at the low level of education and training required to work in the field. “They’ve asked so little for preschool teachers for something so important,” Plumeri said. Although California’s recent steps have been promising, Kidango’s Moore said it will take time for such a large state to launch the program: Creating standards and regulations around mental health consultations can’t be rushed. It may also be difficult to find enough experienced mental health clinicians to work in the state’s publicly funded child care centers. Aguilar recalled a little boy at her previous center who punched students and teachers. His behavior led to him being suspended from several centers before he arrived in her classroom. With the help of a mental health consultant, she created a “toolbox,” which the child could use if he needed to calm down and release some energy. Aguilar filled the box with a stress ball, a teddy bear, bubble blowers and other small toys that would distract and calm the child when he became angry. This story about early childhood mental health was produced by The Hechinger Report, a nonprofit, independent news organization focused on inequality and innovation in education. Sign up for the Hechinger newsletter.